Are you still looking for a Christmas gift for someone? How about the gift of literature? 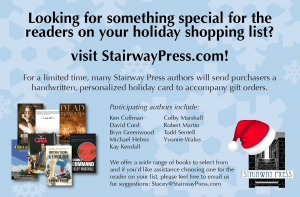 My American publisher Stairway Press is running a promotion where you can buy a book and get a personalised Christmas card from the author (that would be me). Now is your chance to make that special someone puzzle over strange Finnish or Swedish language Christmas cards. Hyvää Joulua! God Jul! If you want to know why you should buy one of my books as a Christmas gift, I’ve compiled some compelling reasons here: Why Dead Romans makes the perfect Christmas gift. 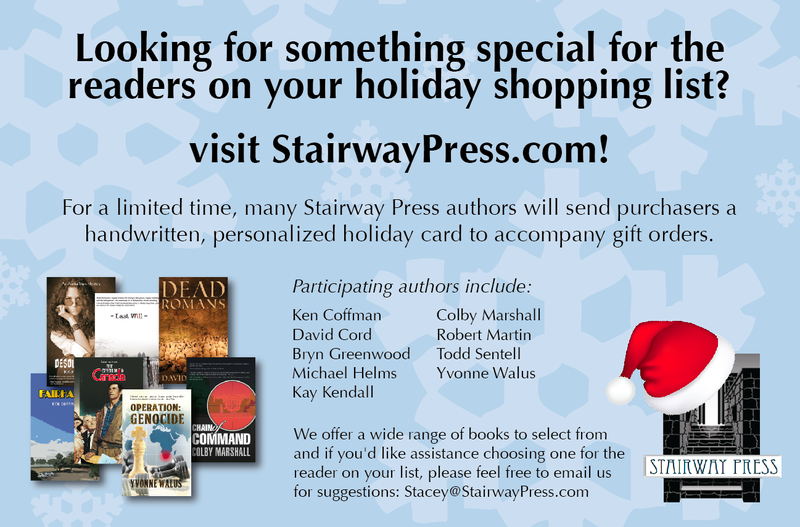 You can make your purchases here: Stairway Press. Note this is for purchases straight from the American publisher, and not through other retail channels or other publishers. Also, please be aware that I’m on one side of the Atlantic and the books are on the other. With the holiday mail rush, it would be prudent to do this quickly so you get them in time. The Finnish postal system recommends cards should be sent by 5 December to be sure they make it to North America before Christmas. If you are buying a book in Europe, probably the same time frame would apply so you receive the book before Christmas.